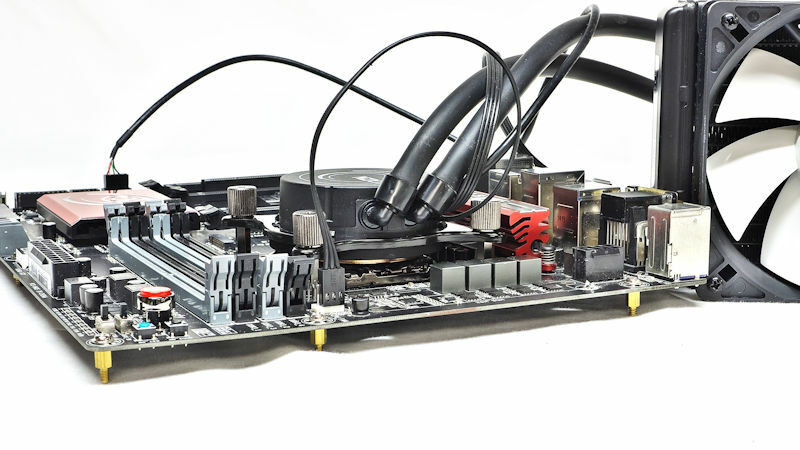 It seems like everyone is getting into the All-In-One CPU cooler business these days. 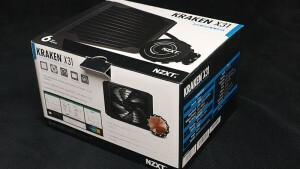 Even the well-established case- and accessory-maker NZXT has gotten into the act, offering the Kraken line of CPU coolers. The Kraken lineup comes with room for one or two fans, at 120 mm and 140 mm. They always cool well in reviews. But the updated line promises to cool quietly as well. So let’s have a look at the X31, shall we? Based in Los Angeles, where they can be close to the gaming community and have clear lines of communication with Asia, NZXT has been making cases and accessories since 2004. 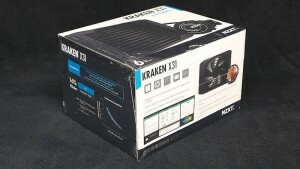 For the past several years they have also made Kraken AIO coolers. 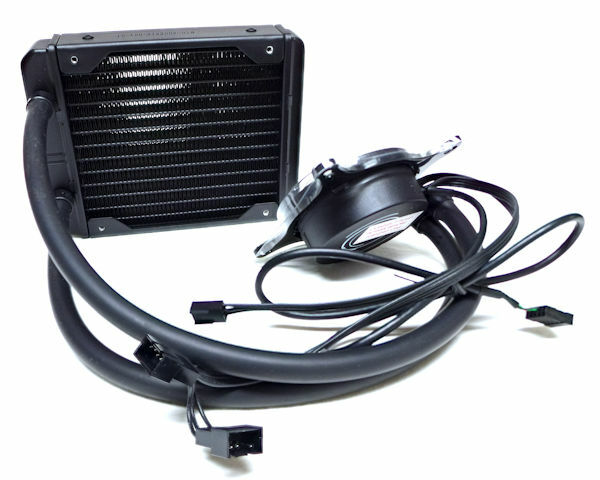 AIO coolers typically come as single or double radiators, either 120 mm or 140 mm wide. That’s 120, 140, 240, and 280 mm in length. 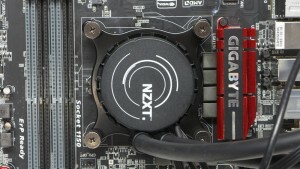 Where NZXT differs from the pack is that they don’t bother with a 240 mm AIO. The Kraken X31 is part of NZXT’s second generation lineup of AIO’s. 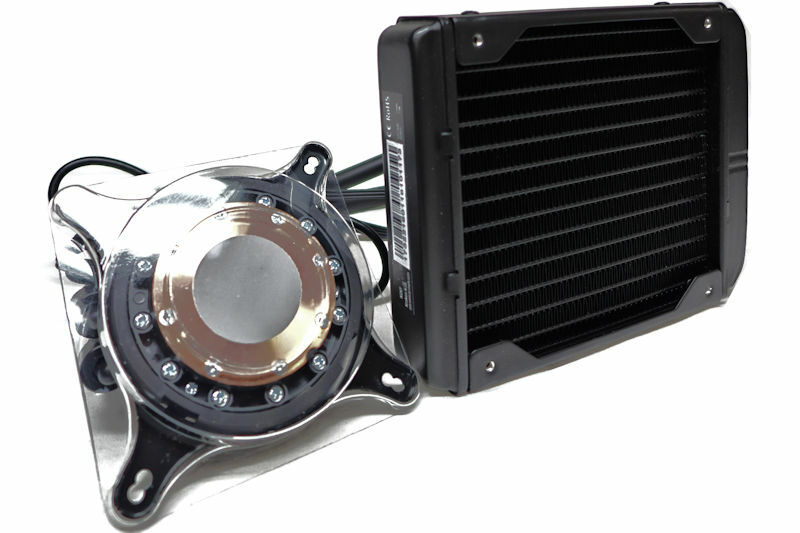 It is a 120 mm single-fan All-In-One CPU cooler. NZXT expects users will substitute the X31 for the exhaust fans of their cases (if you have a case that uses a 140 mm exhaust fan, NZXT has the X41 for you, but we’re not testing that one today). Full software control using our clean, feature-packed NZXT CAM software suite. 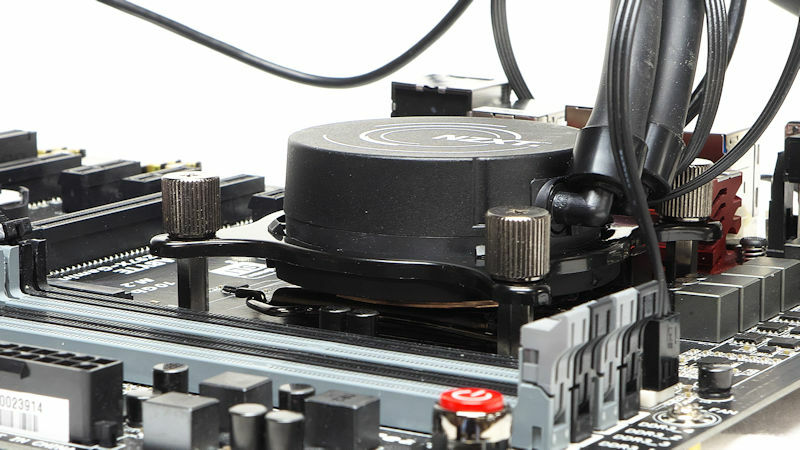 Our 120mm radiator platform keeps your CPU or GPU extremely cool and quiet. 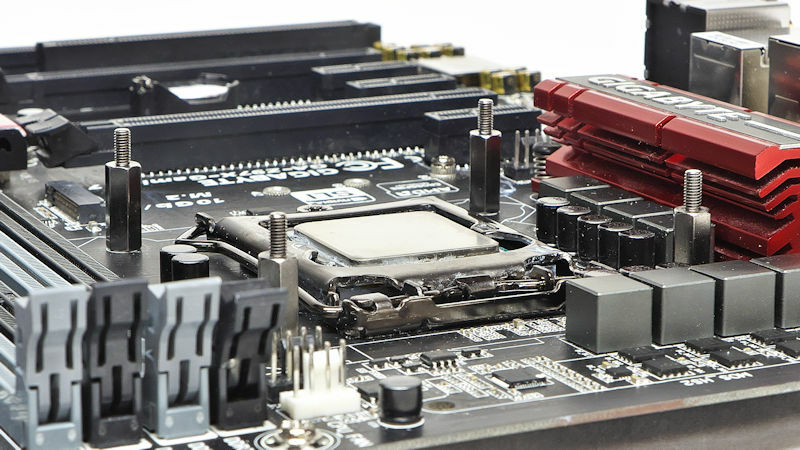 The 120mm standard allows us to maximize compatibility among PC cases. Unique variable speed pump for quiet use without sacrificing power. 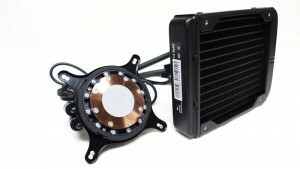 New FX120 V2 performance watercooling PWM fan tuned for radiator cooling. Large tower support with extended 16″ tubing and pre-installed Intel mounting for easy use. Completely sealed system backed by an industry leading 6 year warranty. 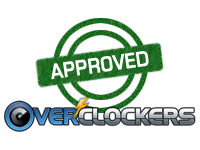 What they don’t tell you is that on their product page they have a PC Compatibility Checker. 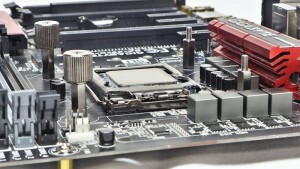 The link leads you to an engine run by PCPartPicker. Works fine, if you have your ad-blockers turned off. Another feature they don’t tell you about is visible in the top picture. The socket for the PWM fan has a piggyback socket that allows for plugging in a second PWM fan. It will be controlled by PWM; it just won’t be reporting its RPM. Under Downloads NZXT has a Kraken Series Compatibility Guide (PDF here) which tells you what cases the Kraken will fit in. I don’t know how exhaustive it is, but there are a lot of cases there. One cute touch: the NZXT cases are listed first in this PDF. Also in the Downloads section are a series of “manuals,” which are actually animated guides to mounting your Kraken AIO. Don’t miss these. They are detailed in their silent instruction, yet simple in their step-by-step presentations. They go about this most professionally. This is a geek’s paradise. Engineers will be right in their element. 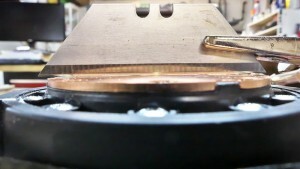 Even if you are a seasoned heatsink mounter you will love these animated gems. CAM is a free web app which can be downloaded here. CAM allows you to monitor your computer and control various NZXT devices such as the Hue+ color strip, the Grid+ fan controller, and, of course, your Kraken AIO (since it is the second generation of AIO’s, should we call them the Kraken+ AIO’s?). CAM starts with a log-in page. You need not create a new identity, because it can use one from Google, etc. Or you can continue as a “guest.” As CAM opens, you see a basic desktop (check out the RAM display — it shows you how much memory your hungriest apps are using). This shows you the top of a full sized application window, by the way. Notice one of the selections is Report A Bug, how often do you see that? The Expanded desktop present three screens – one you will probably have to scroll and two others, presenting comprehensive stats on your system, specifications, and “Top Apps.” CAM lets you see the functioning of your computer, from your core temps to your fan speeds, with various system voltages and RAM utilization in between. It’s all too much to show here. But download it and look for yourself. You don’t have to have an NZXT device installed to run CAM. That’s all on CAM for the moment. We will delve into CAM and the X31 when we look at the Testing section. The X31 comes shrink-wrapped, but you can read through the plastic to see pictures of the AIO, graphs of its performance, and the specs. Pretty informative box. 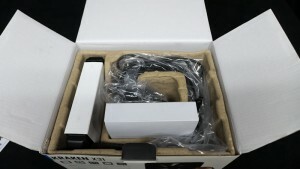 The first picture shows the box with the plastic removed. There is still a cardboard clasp to hold it shut. Open the box and you see that it is protected and carried by a cardboard tray. So far, everything we have seen is recyclable. First, we take the X31 out of its packing, while we leave attached the cover protecting its pre-applied TIM. First we inspect the small parts. 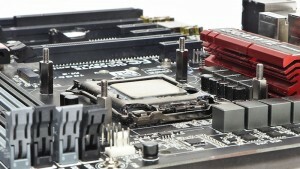 On the left you see the screw-down ring for AMD mounts. The pump head comes with the Intel screw-down ring already attached. In the upper right corner you see the fan screws with the four vibration-dampening washers. The short screws are to attach the radiator portion to the case. NZXT should have included another four washers for that. 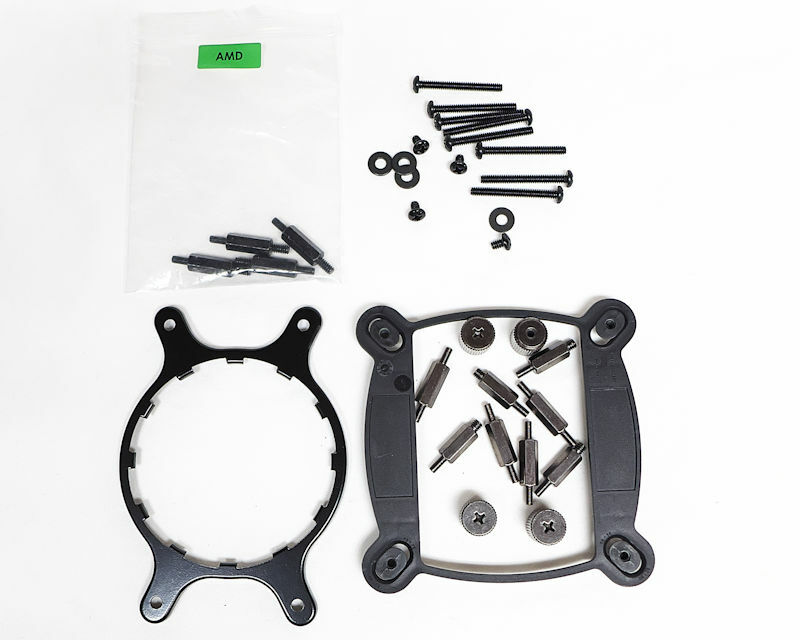 In the lower left corner we have the backplate encircling the double-ended bolts and the four thumb-nuts that hold the plate to the CPU. In the next picture we have the PWM fan. Not much to see or say here. To mount the X31, you start with the backplate. The double-ended bolts screw on as in the first picture. 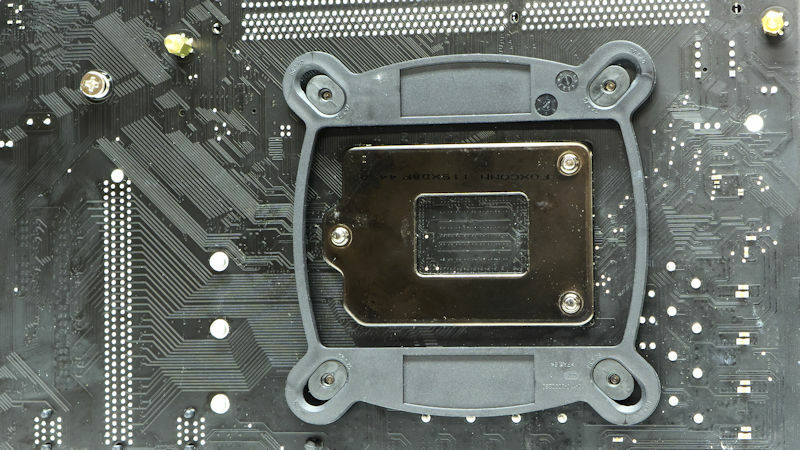 With the backplate fitted to the motherboard, screw in all four bolts. Here is a quick look at the backplate in place. 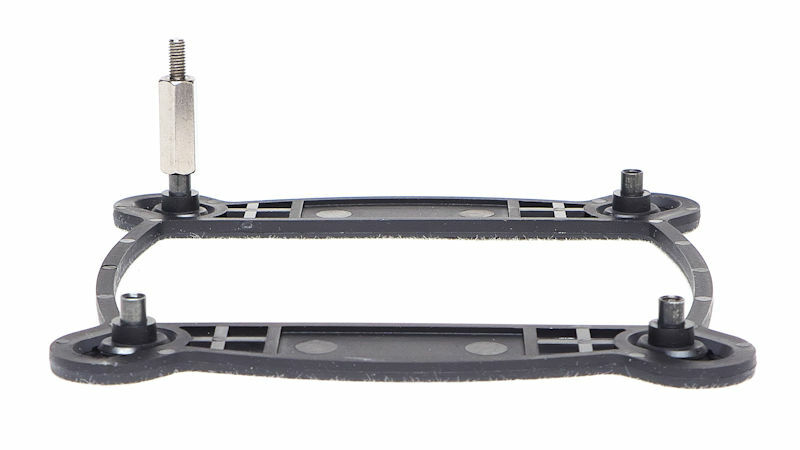 Notice that it clears the entire clamp, so the orientation of the backplate doesn’t matter. Next we can see how the thumb-nuts will screw down onto the holding bolts. 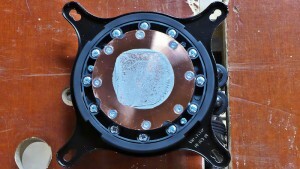 The pump head with its contact plate screw down upon the bolts, with the ring ears holding the assembly down on the CPU. Note that the thumb-nuts hold the head down directly. 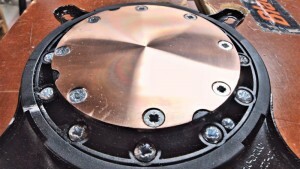 Although the bolts serve as a screw-stop, there are no springs to limit the hold-down pressure. 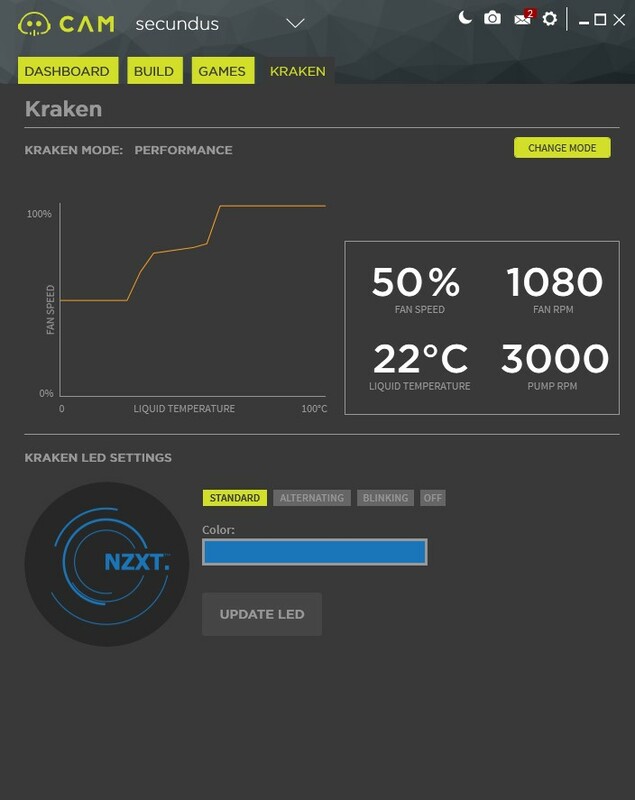 For that, you must trust NZXT’s engineers. One cable reaches over to a USB2 socket so that the pump and fan can communicate with CAM. Another cable snugs into the CPU header on the motherboard. According to NZXT, this powers the pump. Again, no springs. A top view of the pump and contact plate shows the eared ring being held by the thumb-nuts. Here we have the TIM unmasked. 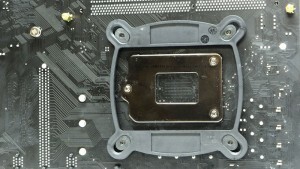 Leave the protective cover on you contact plate until the last minute, just before you mate the head to the CPU. This is what the head looks like after it has come off the CPU. There is a decent amount of TIM, here. Cleaned off, you can see the contact plate looks a little convex. It does not have a mirror finish. It does appear to be radially symmetrical. As you can see from this cross-sectional picture, the contact plate is definitely convex. The TIM was allowed time to spread and, after a day, the heatsink was tested with Linpack running AVX2 extensions. Linpack is the software Intel engineers use to maximize the heat produced by their CPU’s. Thus it is the best software to test overclocking, but Linpack runs in surges. When the temperature is graphed, you see ragged plateaus. In looking for cooling solutions, you want to know how well a heatsink cools those plateaus – you won’t care about the valleys. So the temps under 70 °C (the valleys) were ignored in analyzing core temps. The digital thermometer measuring air temperature was placed about 2″ (5 cm) from the fan intake. It reported its measurements in increments of 0.1 °C. The ambient temperature was measured every five seconds, resulting in 240-line spreadsheets. The mean ambient temp was subtracted from the mean core temps, resulting in a net temp for each run. Finally, the several net temps were averaged. 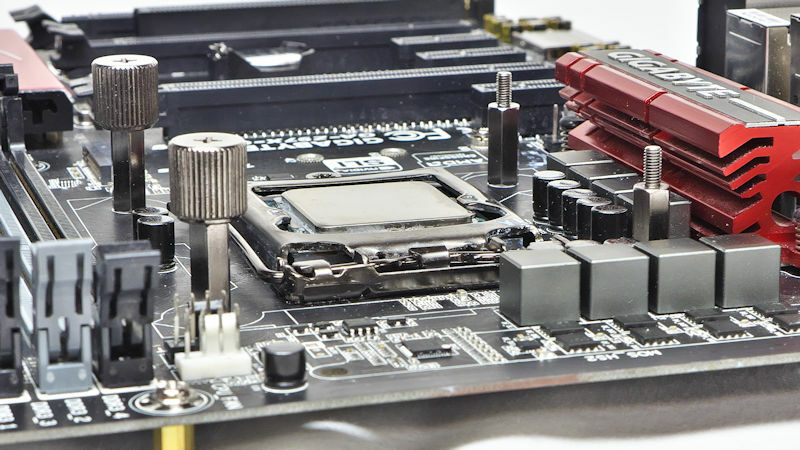 The Sound Pressure level was measured 1 meter from the heatsink, with the radiator and fan set vertically, in front of the motherboard. The ambient noise for this testing was 31 dBA. So the net SPL is the sound pressure level measured at 1 meter, less 31 dBA. The X31 was first tested running it in “Silent” mode. This allowed the cores to get too hot. 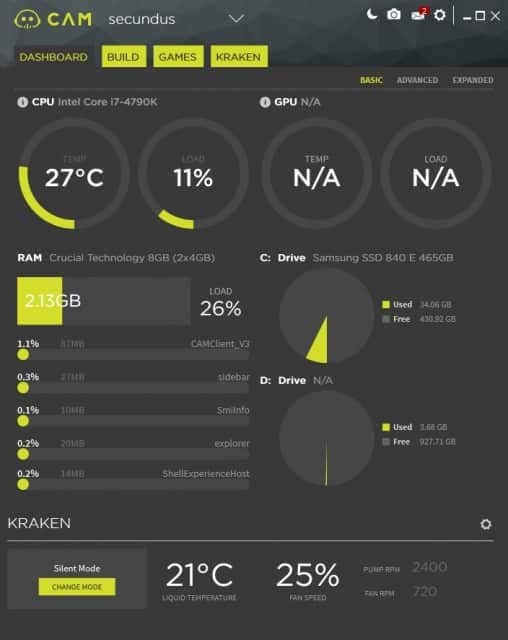 I probably could have reduced the overclock and the Vcore, but that would not have given you much information. 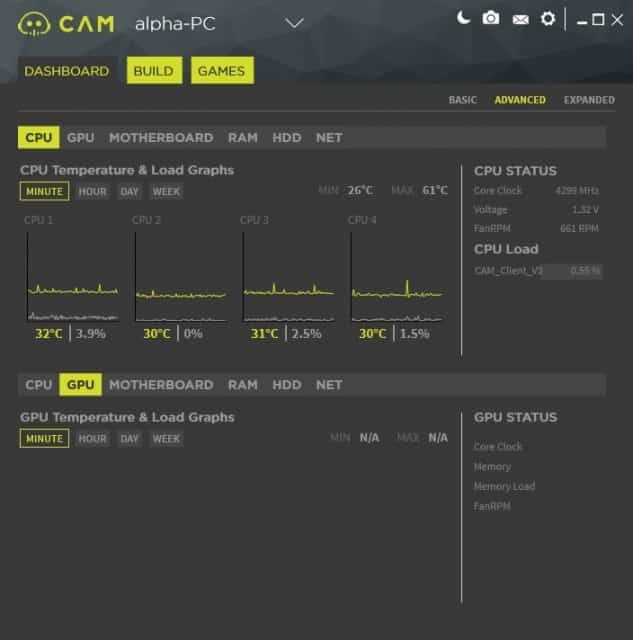 The AIO was switched via CAM to Performance Mode. The picture shows it in the idle state. During testing, the pump reported running at 3480 RPM. 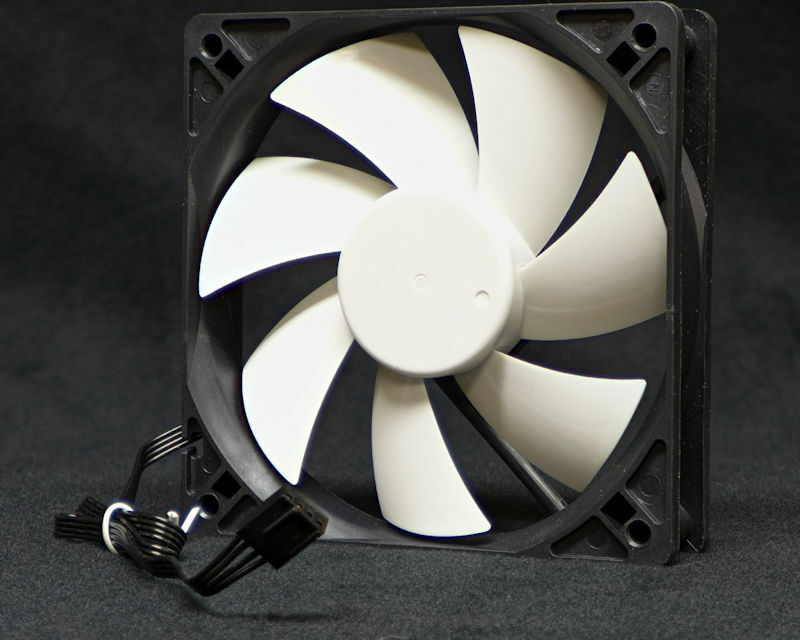 At idle, the X31’s fan made 0.5 dB of noise 1 meter away. I put my ear up to the pump. Couldn’t hear it running. When the system was doing Performance Mode and the Custom 100% Mode I still could not hear that pump. It was quiet – much quieter than the fan. 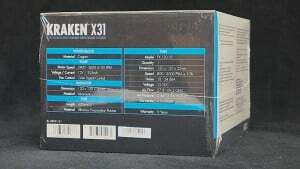 Below you can see where the X31 fit in with other CPU coolers. In Performance Mode it was one of the lower-performing coolers in this bracket. Cranking up from Performance Mode, the X31 was in the middle of the pack. One point to keep in mind when evaluating this group of CPU coolers: this is a group of top coolers. Even the least performing of these is doing very well indeed. 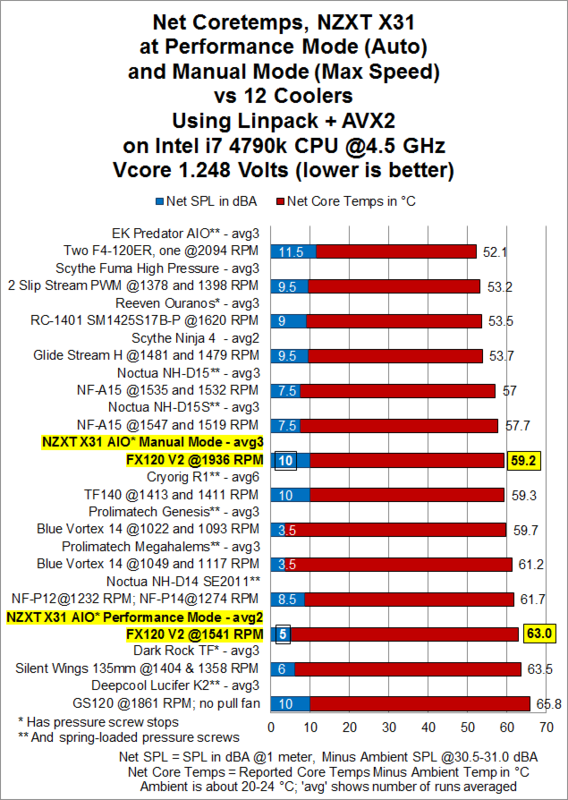 As for noise, the X31 went from a relatively quiet sound pressure level of 36 dBA (net 5 dB) in Performance Mode to 41 dBA (net 10 dB) in Manual Mode, which was part of a 3-way tie for second-loudest cooler. One point about the asterisks. If a heatsink had no asterisks, the user is not protected from over-tightening. 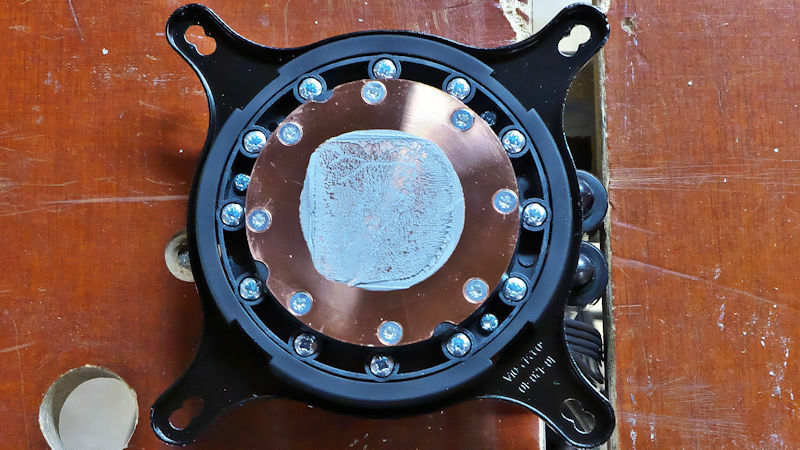 Where you see a single asterisk, the screw of thumb-nut has a hard stop; in such cases you must trust the engineers who designed it to make sure the cooler’s mount does not apply more pressure than the CPU can handle. 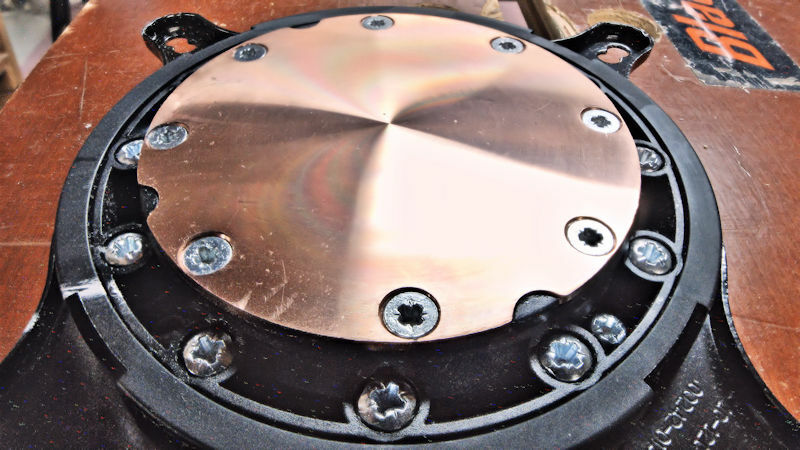 Two asterisks means that the cooler has a hard stop for the thread; and at the same time the mounting pressure is applied by a spring. This is the safest of all mounts because the spring almost certainly applies the Intel-specified amount of pressure to the CPU. CAM makes an impressive splash for NZXT. The app shows an amazingly complete set of functions for you, and it’s all available free of charge. This is like an open software, hardware monitor combined with functions that monitor and control various NZXT devices. Of course, the control it offers for the Grid+, the Hue+, and the Kraken devices obviously pays the bills for creating this app, but the spacious user interface and the built-in theme switches show this is marketing money well-spent. 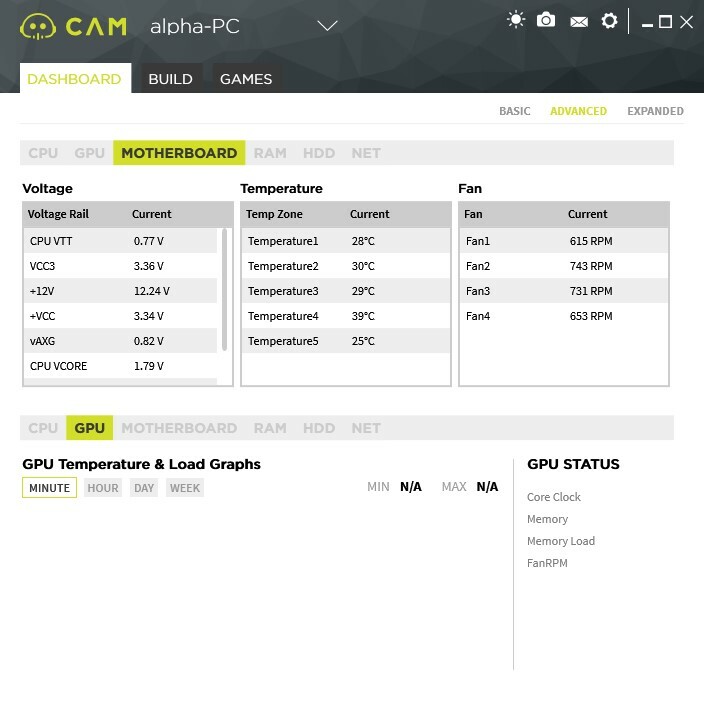 CAM has a well thought-out UI. Everything you want to do is self-explanatory and easy to do. The ease of controlling the Kraken and the straightforward means of controlling it gives you amazing flexibility in using the X31. You will like CAM. 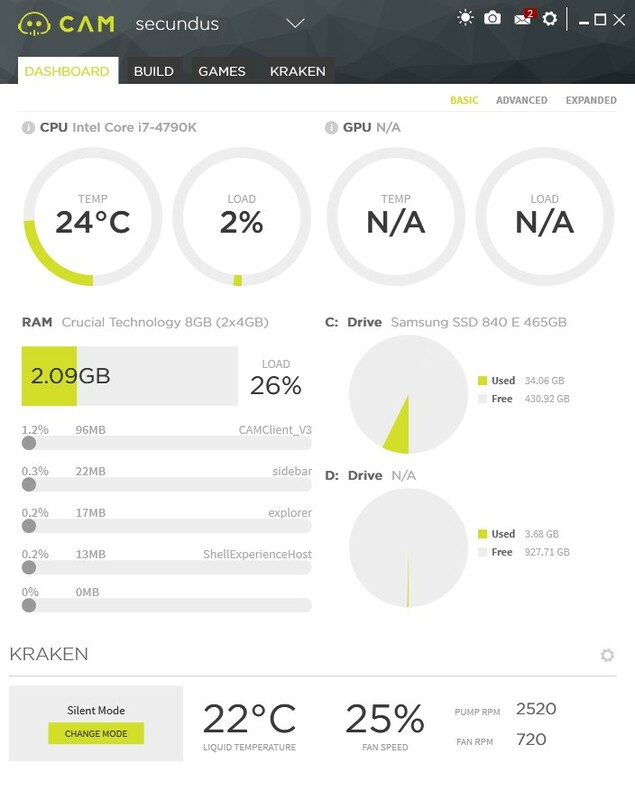 Heck, even if you don’t have an NZXT device, you may download and use this app. It’s that good. The X31 cannot defeat the laws of physics. Water-cooling basically moves heat away from the CPU to a radiator, where it sheds said heat to the atmosphere. Basically, it differs from air-cooling in its use of a liquid (usually water) to move the heat away rather than shedding it on the spot like a heatsink. The larger the radiator, the more heat it can shed. The X31 showed the limits of that. It is an AIO with a single-fan radiator. At full speed (“Manual” in the chart above) it cooled seven degrees warmer than a twin-fan AIO. The spread was a feature of how big the radiator was, not any goodness or badness intrinsic to the X31. 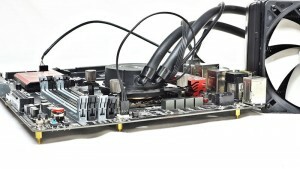 First-generation Kraken AIO’s had a reputation of cooling well but making noise doing it. This second generation AIO can do a more than decent job of cooling – remember this is a collection of top coolers – and be pretty quiet doing so. All in all, I’d leave this AIO in Performance Mode when using it. One of the lovely features of the Kraken X31 is that you can decide how you want to use it. Maybe Silent Mode is for you. It’s pretty quiet. It’s certainly comparable to a four-heatpipe heatsink. But if you choose Performance Mode, it’s up there with 6+ heatpipe heatsinks, and it is pretty quiet. Or you can pick Manual Mode and select any fan speed you like. It’s your choice, and that’s the point: the CAM software allows you to control Krakens however you like them. It was dead easy to assemble the mount; and even so, NZXT has several online animations – 1366, 115x, 2011, and AMD — that will show you how to do it. They didn’t scrimp in making these animations, either. They are first-class professional jobs. The mount did use double-ended bolts that acted as a thread stop for the thumb-nuts; so you can’t over-tighten the pump head. It would have been nice to have it held down by springs, to make sure the downward pressure was limited to spec.